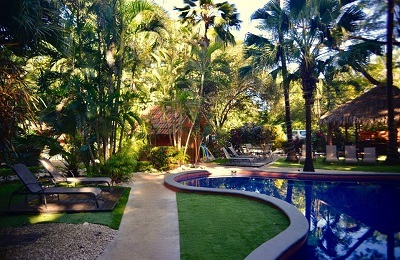 Playa Santa Teresa Surf Camp - Santa Teresa, Provincia de Puntarenas Guests overall rating: ★★★★★ 5 based on 5 reviews. Surf Camp Costa Rica is paradise on earth. The motto of the locals is “Pura Vida” or pure life, and this is what Costa Rica is all about – to enjoy life. The words jungles, deserted beaches, tropical water and friendly people, sums up this lovely country pretty well. This is a beginner’s paradise with warm water, sandy beaches and consistent waves that suits all levels. It is almost always perfect waves with very slight offshore winds in the morning. The best conditions are usually in early mornings so get ready for many early bird surf sessions. You can choose between three surf packages to suit your level and ensure a steady learning curve and a plenty of fun! The surf camp lies just a 10 minute drive north of Santa Teresa on the Nicoya Peninsula. There are almost always perfect waves here with light offshore winds in the morning. 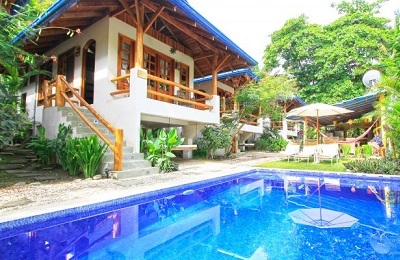 The villa is located on the top of a hill, overlooking the regional classic surf spot. If you’re lucky you can scout whales while sitting in the infinity pool. With a great vibe and nice lounge- and hangout areas, the camp is ideal for treating your body after a long day of surf. All the camp staff love surﬁng, and their job is to make sure that you have as good time as possible both in and outside the water. The staff is multicultural, a mix of local and European staff, which provides an authentic experience and to ensure a high service level. Book from 24 May -3 Jul. The villa is blessed with cooling afternoon breeze coming from the ocean, flowing straight through the rainforest and up the hill to soothe your soul. It is the perfect spot for an afternoon beer with fellow surfers. The villa has an open air design, six bedrooms and a living room with many great facilities as swimming pool, big lounge, hammock and outdoor projector for those evening movies. There are 20 beds in total, divided into two double rooms and four dorms. Two double rooms for those of you that want a bit more privacy in your stay in the villa. A dorm is a great place to meet new people while staying in Costa Rica. You will get up in the morning to a freshly made pot of coffee, some fruit, juices and yogurts. Light breakfast to get ready for morning tropical surf. After surf you will head back to the camp where the chef Maylin has prepared a solid lunch for you. Nothing beats arriving to a set table after a few hours of surf. Food has never tasted better. You will have dinners either at the camp or at one of the local restaurants. Barbeque, sushi or the local favourite Gallo Pinto – what we go for depends on the mood that day. When you are all surfed out, Costa Rica is a place where it is easy to mix it up. Take a ride on the beach, join in for some yoga, take a hike in the jungle, check out the waterfalls or rent a quad to find a beach just for you. Big game fishing is another favourite worth checking out. Costa Rica Surf Camp is synonymous a steep learning curve, plenty of surf and meeting new people. You are free to do whatever you enjoy doing. Some people spend all their time in the water and others take the opportunity to relax or try other activities. A variety of different packages, depending on your level of surfing and how long you want to stay. We know that even the most experienced riders have great benefits from valid feedback and that’s why most of the packages include instructions. Lessons for both beginner and advanced surfers. The learning curve is individual, therefore you can choose between dierent levels. This level is designed for those of you that have passed our level 1 or can catch and ride a white water wave on your own. Level 2 will focus on getting to the outside (lineup) in waist high waves. We’ll teach you to catch green waves and ride the face of the wave instead of going straight in the white water. 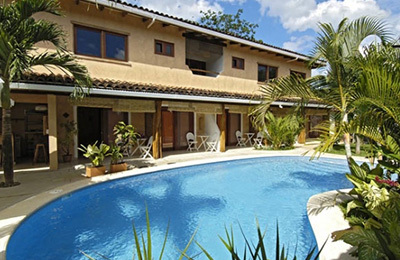 The surf camp is situated just a 10 minute drive north of Santa Teresa on the Nicoya Peninsula. Santa Teresa is a charming little surf village that is lined with cozy restaurants run by those who have fallen in love with the little town and settled down here. Santa Teresa is probably one of the world’s most beautiful beaches and the atmosphere here is unbeatable. The camp hosts organize evening activities and tours on regular basis. All Lapoint Surf Camps staff love surfing, and their job is to make sure that you have as good time as possible both in and outside the water. The staff is multicultural,a mix of local and European staff, which provides an authentic experience and to ensure you are having the time of your life. Costa Rica is a small country located in Central America and one of the trendiest holiday and adventure-travel destinations in Latin America – One of Costa Rica’s main sources of income is tourism. Costa Rica is also a democratic and peaceful country, and was the first in the world to constitutionally abolish its army back in 1949. Costa Rica is located on the Central American isthmus, 10° North of the equator. Bathed by the Caribbean Sea to the east and the Pacific Ocean to the west, the country extend on an narrow stretch of land from Panama in the south to Nicaragua in the north. The country is ranked 5th in the world and 1st among American countries in terms of Environmental Performance. Although the country is small, it shelters 6% of the existing biodiversity in the entire world and 25 % of the country is under natural conservation protection (National Parks and Nature Preserves). Costa Rica is paradise on earth. The motto of the locals is “Pura Vida” or pure life, and this is what Costa Rica is all about – to enjoy life. The words jungles, deserted beaches, tropical water and friendly people, sums up this lovely country pretty well. The surf camp lies just a 10 minute drive north of Santa Teresa on the Nicoya Peninsula. There are almost always perfect waves here with light offshore winds in the morning. Santa Teresa is a charming little surf village that is lined with cozy restaurants run by those who have fallen in love with the little town and settled down here. Santa Teresa is probably one of the world’s most beautiful beaches and the atmosphere here is unbeatable. Costa Rica is located on the Central American isthmus, 10° North of the equator and enjoys a tropical climate with 27-28 degrees in the water all year round and usually a bit more than 30 degrees in the air. The dry season begins at the end of November and until May, when the sun drenches the land. The first rainfalls to relieve the dry season occur in May at the start of the rainy season. Rainfall increases during the following months to become quite heavy from September to November, when the peninsula turns into a lush rainforest. Citizens holding valid passports from the European Union, USA, Canada, Australia, New Zealand and Japan are permitted to stay in Costa Rica for 90 days without a visa. All travelers must carry a passport that remains valid for at least six months after the date of entry. No vaccine are necessary. San Jose International Airport (SJO) is located 6 hours drive from the camp. Direct flights from major cities of U.S and Canada, as well as from Paris (CDG), London (LGW), Madrid (MAD), Frankfurt (FRA). Domestic flight to Tambor Regional Airport (TMU) , which is about 1h drive from the camp. Ticket will be around 90 USD. It’s helpful to know some Spanish if you’re considering this option. Public bus to Santa Teresa – Malpais (Puntarenas) 6 Hours bus trip from San Jose. It’s helpful to know some Spanish if you’re considering this option. The easiest way to get to the camp is by our shuttle bus which goes from your hotel at 08:00, and will be at the camp at 14:00. "It's a really nice place with pool, wifi, ping pong table and everything you need! To go to the beach where you'll be surfing there's a taxi that picks you up. The waves are super nice and when you're done surfing you can just relax at the villa and hang out with the other guests and the crew. I loved it!" "I just had the most Amazing week. The House was amasing, Nice, clean and very Cosy. Nice pool with stunning view. The surf teachers was good fun and very good teachers As Well. There was 2 very good staff at the Camp making sure evey thing was Worning. Stunning food. It was very Nice workout and tiring but at the same time very relaxing. All tougether very very Nice Camp and concept. And i Will deffetnlig go again. " "We stayed a week at the surf camp in Costa Rica in a double room. The house is great, beautifully located and the view is just incredible. It a place where you feel at home and want to hang out and relax. The staff are very friendly and made our stay very comfortable. The surflessons are fun and hard work. All in all I give this surf camp my best recommendation!" "It's a great camp and place to stay! 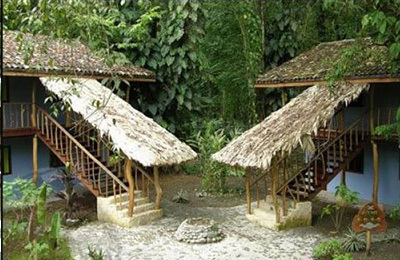 Perfect location, beautifull house, good and really comfortable rooms and beds. Delicious food, good surflessons and everything is good organized. " "If you are looking for a goodtime, this is the place to go! We stayed at the camp one week in October, and enjoyed every minute of it. The staff is awesome, both in and out of the water. The camp is on a hill, so you have a beautiful veiw of the ocean, and the sunset! The food is amazing, and so is the vibe! I'll be back for sure!"